You are currently browsing the category archive for the ‘Real life maths’ category. Bitcoin is in the news again as it hits $10,000 a coin – the online crypto-currency has seen huge growth over the past 1 1/2 years, and there are now reports that hedge funds are now investing part of their portfolios in the currency. So let’s have a look at some regression techniques to predict the future price of the currency. Here the graph has been inserted into Desmos and the scales aligned. 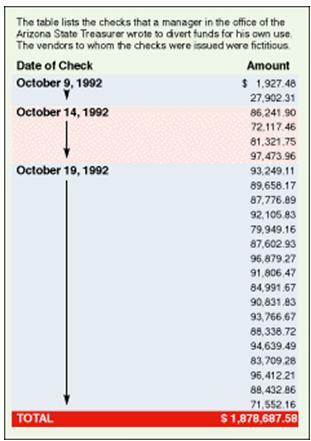 1 on the y axis corresponds to $1000 and 1 on the x axis corresponds to 6 months. 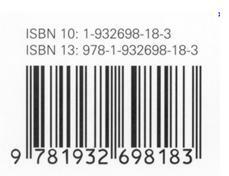 2013 is aligned with (0,0). Next, I plot some points to fit the curve through. 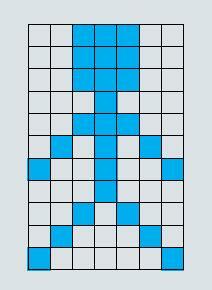 y = 5.10 x 10-7 e1.67x + 0.432. I included the vertical translation (d) because without it the graph didn’t fit the early data points well. and as my scale has 1 unit on the y axis equal to $1000, this is equal to $258,000. Predicting which of these 2 outcomes are most likely is probably best left to the experts! If you do choose to buy bitcoins you should be prepared for significant price fluctuations – which could be down as well as up. I’ll revisit this post in a few months and see what has happened. If you are interested in some more of the maths behind Bitcoin, you can read about the method that is used to encrypt these currencies (a method called elliptical curve cryptography). NASA, Aliens and Binary Codes from the Stars – a discussion about how pictures can be transmitted across millions of miles using binary strings. This is a really good online Java app which has been designed by a German mathematician to study the mathematics behind traffic flow. Why do traffic jams form? How does the speed limit or traffic lights or the number of lorries on the road affect road conditions? You can run a number of different simulations – looking at ring road traffic, lane closures and how robust the system is by applying an unexpected perturbation (like an erratic driver). There is a lot of scope for investigation – with some prompts on the site. For example, just looking at one variable – the speed limit – what happens in the lane closure model? Interestingly, with a homogenous speed of 80 km/h there is no traffic congestion – but if the speed is increased to 140km/h then large congestion builds up quickly as cars are unable to change lanes. This is why reduced speed limits are applied on motorways during lane closures. Another investigation is looking at how the style of driving affects the models. You can change the politeness of the drivers – do they change lanes recklessly? How many perturbations (erratic incidents) do you need to add to the simulation to cause a traffic jam? This is a really good example of mathematics used in a real life context – and also provides some good opportunities for a computer based investigation looking at the altering one parameter at a time to note the consequences. Another good simulation is on the Impact: Earth page. This allows you to investigate the consequences of various asteroid impacts on Earth – choosing from different parameters such as diameter, velocity, density and angle of impact. It then shows a detailed breakdown of thee consequences – such as crater size and energy released. You can also model some famous impacts from history and see their effects. Lots of scope for mathematical modelling – and also for links with physics. 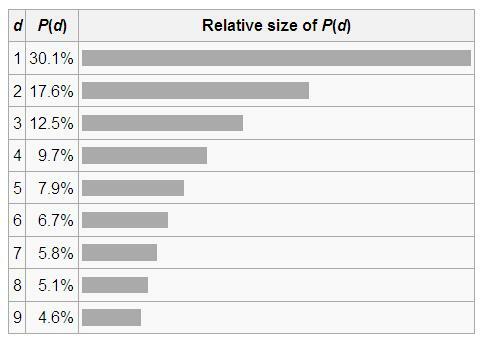 Also possible discussion re the logarithmic Richter scale – why is this useful? Asteroid Impact – Why is this important? Comets and asteroids impact with Earth all the time – but most are so small that we don’t even notice. On a cosmic scale however, the Earth has seen some massive impacts – which were they to happen again today could wipe out civilisation as we know it. The website Impact Earth allows us to model what would happen if a comet or asteroid hit us again. Jay Melosh professor of Physics and Earth Science says that we can expect “fairly large” impact events about every century. The last major one was in Tunguska Siberia in 1908 – which flattened an estimated 80 million trees over an area of 2000 square km. The force unleashed has been compared to around 1000 Hiroshima nuclear bombs. Luckily this impact was in one of the remotest places on Earth – had the impact been near a large city the effects could be catastrophic. Task 1: Watch the above video on a large asteroid impact – make some notes. Task 2:Research about Apophis – including the dimensions and likely speed of the asteroid and probability of collision. 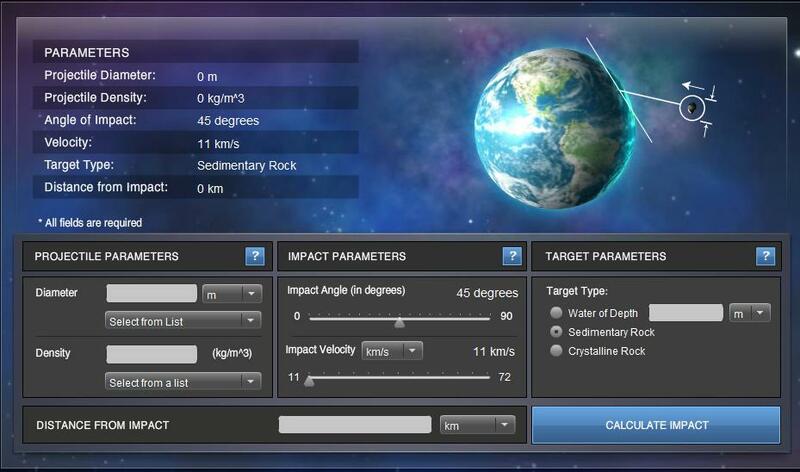 Use this data to enter into the Impact Earth simulation and predict the damage that this asteroid could do. Task 3: Investigate the Tunguska Event. When did it happen? What was its diameter? Likely speed? Use the data to model this collision on the Impact Earth Simulation. Additional: What are the possible theories about Tunguska? Was it a comet? Asteroid? Death Ray? Task 4: Conduct your own investigation on the Impact Earth Website into what factors affect the size of craters left by impacts. To do this you need to change one variable and keep all the the other variables constant. The most interesting one to explore is the angle of impact. Keep everything else the same and see what happens to the crater size as the angle changes from 10 degrees to 90 degrees. What angle would you expect to cause the most damage? Were you correct? Plot the results as a graph. Champagne Supernovas and the Birth of the Universe – some amazing photos from space. Fractals, Mandelbrot and the Koch Snowflake – using maths to model infinite patterns. This is one of my favourite videos from the legendary Carl Sagan. He explains the consequences of near to speed of light travel. 1) A long working air steward spends a cumulative total of 5 years in the air – flying at an average speed of 900km/h. How much longer will he live (from a stationary viewpoint) compared to if he had been a bus driver? 2) Voyager 1, launched in 1977 and now currently about 1.8×10^10 km away from Earth is traveling at around 17km/s. How far does this craft travel in 1 hour? What would the time dilation be for someone onboard since 1977? 3) I built a spacecraft capable of traveling at 95% the speed of light. I said goodbye to my twin sister and hopped aboard, flew for a while before returning to Earth. If I experienced 10 years on the space craft, how much younger will I be than my twin? There is a lot of scope for extra content on this topic – for example, looking at the distance of some stars visible in the night sky. For example, red super-giant star Belelgeuse is around 600 light years from Earth. (How many kilometres is that?) When we look at Betelgeuse we are actually looking 600 years “back in time” – so does it make sense to use time as a frame of reference for existence? 1) Convert 900km/h into km/s = 0.25km/s. 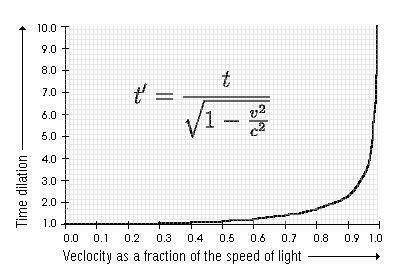 Now substitute this value into the equation, along with the speed of light at 300,000km/s….and even using Google’s computer calculator we get a difference so negligible that the denominator rounds to 1. 2) With units already in km/s we substitute the values in – and using a powerful calculator find that denominator is 0.99999999839. Therefore someone traveling on the ship for what their watch recorded as 35 years would actually have been recorded as leaving Earth 35.0000000562 years ago. Which is about 1.78seconds! So still not much effect. 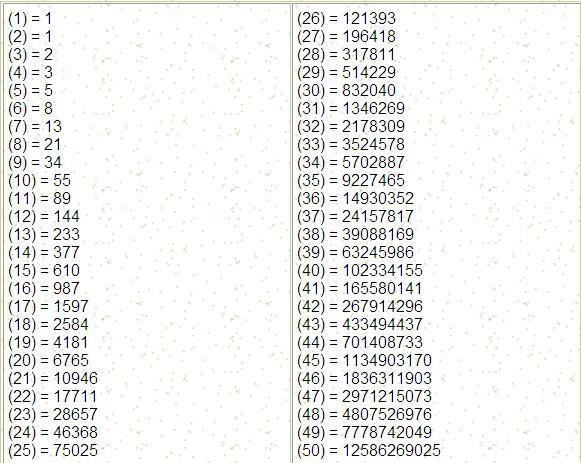 3) This time we get a denominator of 0.3122498999 and so the time experienced by my twin will be 32 years. In effect my sister will have aged 22 years more than me on my return. Amazing! Champagne Supernovas and the Birth of the Universe – some amazing pictures from space. “Given groups of six and nine, they could pick, or peck, the images in the right order. 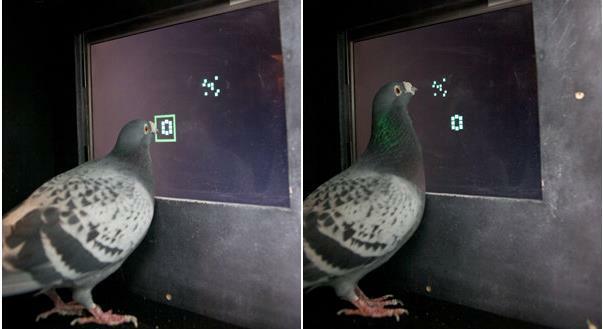 This is one more bit of evidence of how smart birds really are, and it is intriguing because the pigeons’ performance was so similar to the monkeys’. “I was surprised,” Dr. Scarf said. To find mathematical ability amongst both monkeys and pigeons therefore raises two equally interesting possibilities. Perhaps basic numeracy is a rare trait, but such a fundamentally important skill for life that it emerged hundreds of millions of years ago. Or perhaps basic numeracy is a relatively common trait – which can evolve independently in different species. Either way, it is clear that there must be an evolutionary benefit for being able to process abstract quantities – most likely in terms of food. A monkey who can look at two piles of coconuts and count 5 in one pile and 6 in the other and know that 6 is a bigger quantity than 5 can then choose the larger pile to sit alongside and eat. Perhaps this evolutionary benefit is the true origin of our ability to do maths. Another similar experiment looked at the ability of chimpanzees to both count numbers, and also demonstrated their remarkable photographic memory. On the screen the monkeys are given a flash of 10 number for a fraction of a second, before the numbers are covered up, and they then proceed to correctly show the position of all numbers from 1-10. They are much better at this task than humans. This is a good task to try at school using the online game here and would also make a good IB investigation. Can you beat the chimps? This all ties into the question about where mathematical ability comes from. If there had been no evolutionary ability for such abstract abilities with numbers, then perhaps today our brains would be physically incapable of higher level mathematical thinking.